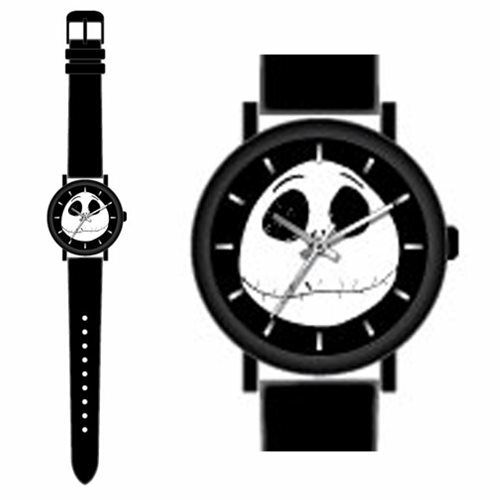 Show your love for Jack with this Jack Skellington Black Strap Watch! This sleek watch features a cool image of the Pumpkin King with a black design. Watch comes with a comfortable and stylish strap and comes packaged in a displayable box. Ages 6 and up. Requires mercury free batteries, included.